It's a rite of spring in New York City. Performers audition for the privilege of doing their thing in grubby, noisy subway stations. Seventy showed up recently at Grand Central Terminal. They were vying for permission to set up their underground acts for tips. The performers appeared before a jury of musicians and transit employees. The tryouts were held in the elegant Vanderbilt Hall. It is located above the train tracks. This year's motley musical crew came from countries around the world. They will soon find out who won the right to be part of the Music Under New York program. It is run by the Metropolitan Transportation Authority. The authority operates the nation's biggest mass transit system. "I always dreamed of arriving in New York City," said Oliver Dagum. He is a Philippine-born U.S. Air Force sergeant. He was stationed in New Jersey. He left the military last week. "I always believed that there's something between me and the city. It's amazing. It's grandiose. I feel uplifted." He said playing in the subway system is a gauge of how good he is. "If you're able to convince one or two rushing people to take the time to listen to you, that's the biggest acknowledgment," he said. Dagum switched his military uniform for a woolen cap and guitar at Grand Central. It is a long way from the battlefields of Iraq and Afghanistan. That is where he once served. He sang a mellow "Sunday Morning" by Maroon 5. Drummer Louis Conselatore is an Ivy League law school graduate. He has worked as an ordained Unitarian minister. Conselatore played his five-minute stint with two other musicians in his band. "Two of us are Italians. One of us is Puerto Rican. And we're all from New Jersey. 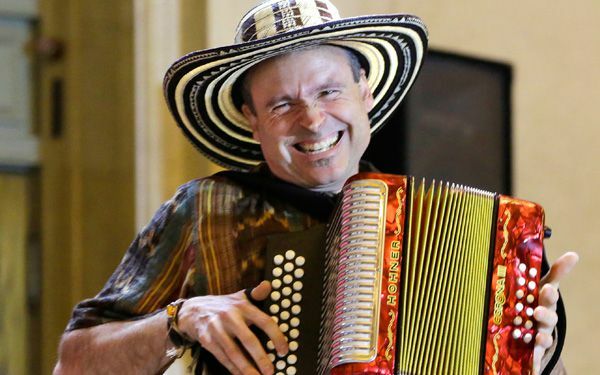 And we fell in love with Colombian music," said Phil "Felipe" Passantino, the accordionist. "It has a rhythm that's very infectious. And makes people dance and laugh. It's a peasant's music. Poor people's music that springs from the soul." 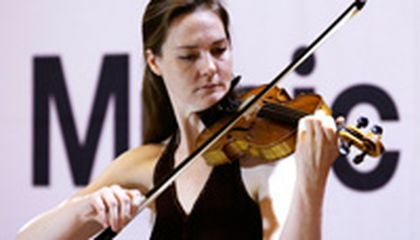 Three hundred performers entered the Music Under New York contest months ago. They had to be selected for the live, six-hour contest. The jury picks about two dozen winners. They will rake in up to hundreds of dollars a day. That's after they are dispersed at subway spots around the city. It's illegal for unapproved artists to perform in the subway system. Jacinta Clusellas is a Brooklyn resident from Buenos Aires with a guitar. She wore giant blue wings to the audition. They reflected a short story by the Nicaraguan poet Ruben Dario. "It's about a man with a brilliant mind who had a hard time expressing himself. And he said, 'I have a bluebird trapped inside my head,'" she explained. The man kills himself, she said. He leaves a note that reads, "I leave the door open to let my bluebird fly away." Clusellas attended Boston's elite Berklee College of Music. After all, some of New York's finest musicians don't appear at Carnegie Hall. They also practice and practice to get to a subway station. Critical thinking challenge: Who is New York protecting by making it illegal for unapproved artists to perform in the subway system? It is true that you learn something new every day i just did reading this atrial. That is so awesome that they do that. It is relay amazing on what us humans think of and accomplish in this world. I am an musician myself so it is relay cool to look at all the different kinds of musics around this world and around you that is great !!!!!!!! This story is about performers that audition to preform in New York City subways. Some people want to make pepole love music and they want to entertain people and make money too. I think its as a good thing .Whenever I hear music i fell happy inside and it lifts my soul. They are protecting the pepole that use the subway trains by making sure they are being entertained by good, talented people. This story is about performers audtion for spots in New York subways. They need to audtion to perform. In the subway station.the arties. Can also perform in the subway station. The story was about performers who try out so they can play music in the New York subway station. The artists can make a lot of money by doing music there. Everyone would go and see them play music that people will like to listen to because they are good musicians. They are trying to protect the people who are customers on the train by making sure they are really nice and talented people. I like this article because I like music and music performers. I don't like that they played maroon 5 Sunday morning. I think let the musicians playing in the New York's subways it is a good initiative because it extend culture in free places for everyone and offers to the people who plays, a space to show their art. Maybe not all musicians wants to make an effort to play in a subway because they wants to reach a more professional career, but there are someones that only thinks in the privilege to share their music with people and being acknowledgment for that.